So Autumn has had plenty to offer so far and there’s lots going on over the coming weeks too. Seeing Raymond Blanc of Le Manoir Aux Quat’ Saisons in action at The Mill Restaurant at Blarney on 12th September was a wonderful privilege and though he may have been there to promote his range of cookware – Raymond Blanc by Anolon he was not holding back when it came to sharing his love of good food and good ingredients. Imagine a cross between Dustin Hoffman and Al Pacino, all fired up giving their most passionate and animated performance but in a genuine French accent – irresistably charming and charismatic. 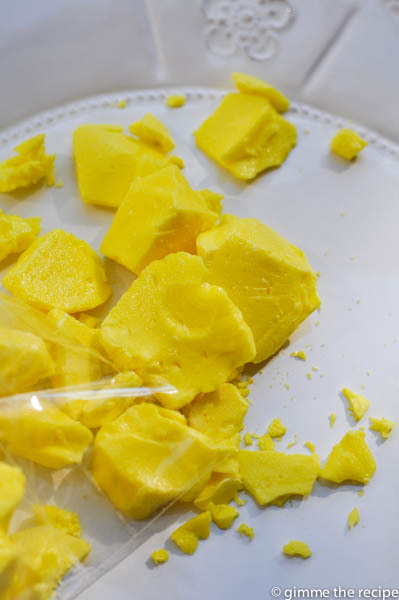 Raymond cooks and makes it look effortless and simple and he embraces the ingredients as he goes along, or chastises them as needs be, for example the not very fresh egg or the forced tomato. 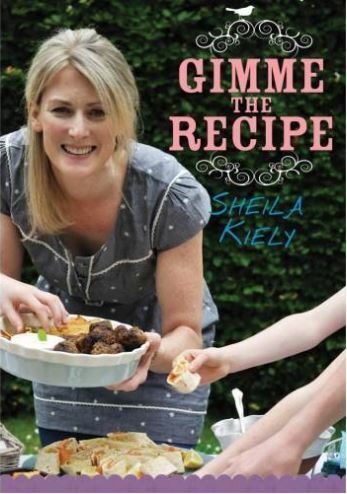 He doesn’t just demonstrate but teaches and shares, truly wanting to gift you with everything he knows to help you become a better cook. If ever you have the opportunity, go see him. He is not to be missed. 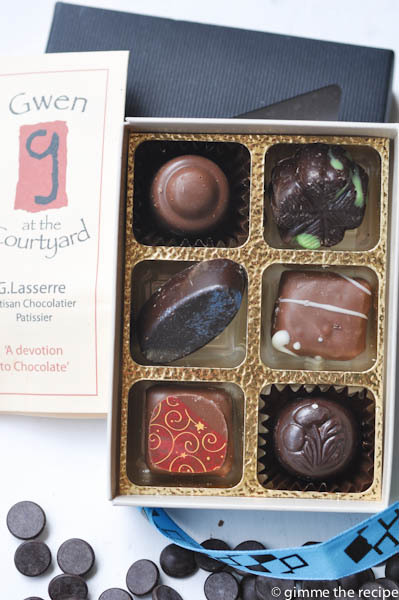 If you ever pass through Schull in West Cork stop off here at Gwen’s Chocolates for a delightfully decadent experience of french patisserie and chocolaterie. Indulge and linger over coffee in the spacious and comfortable surrounds and if you have children and they are old enough I suggest you ditch them, perhaps dispatching them with an ice-cream so that you can take a while to escape. Children I have discovered do not get ‘relaxing’, they do not understand that your bum on a seat with a quiet cup of coffee and maybe a newspaper is sometimes your destination. I have learned that for them, sitting there and ‘relaxing’ is not something they will master for many years to come. When children sit they are ‘waiting’ not ‘relaxing’ and you will be asked where are we going or what are we doing next. These are not questions you want to even contemplate because in that precious relaxed time there is no next there is only now. So enjoy. Now I wasn’t there myself this year but as my mother hails from the Northern end of the country I’ve been to this two-day market fair in Ballycastle, Co. Antrim many a time as a kid. 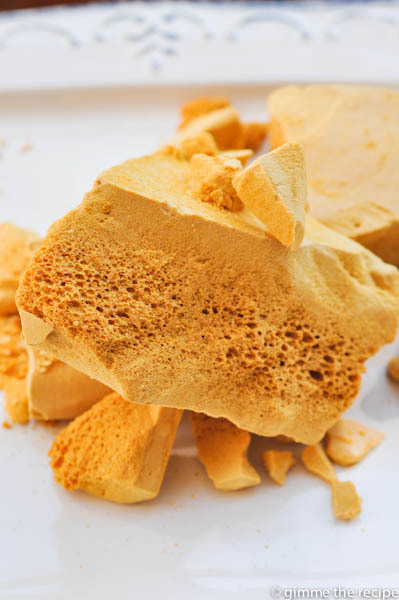 This August my sisters visited and they brought me back the following traditional goodies ; Yellow Man, Dulse and Honeycomb. I spent a gorgeous evening as a guest of the first Irish Quality Food Awards held on Wednesday 18th September at the Round Room, Mansion House, Dublin. I’m sure the organisers must be very pleased with how it all went and the food on the night was delicious. 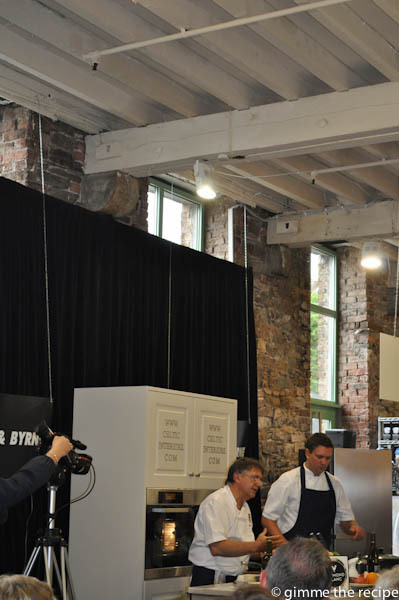 Neven Maguire was a superb host and I’m sure the winners are treasuring their awards, speaking of whom…. 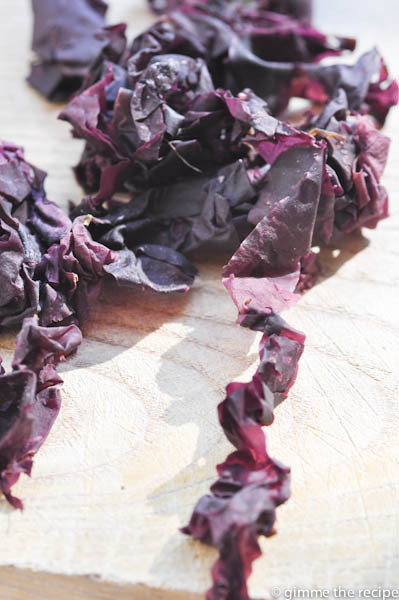 the Irish Quality Food Awards winners are here. 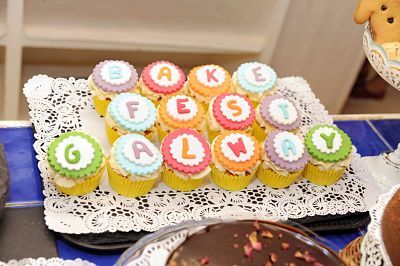 Bake Fest Galway is a family centred event with a strong focus on re-instilling traditions and time spent together when baking. 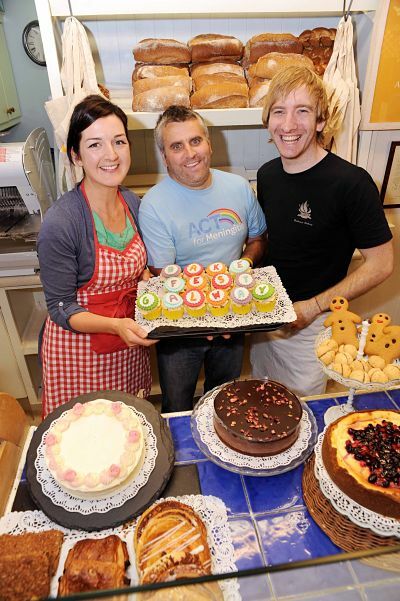 n Bake Fest Galway takes place Saturday 5th & Sunday 6th of October 2013. Organised by Goodness Cakes, in association with charity ACT for Meningitis, Bake Fest Galway will be Ireland’s biggest baking festival and competition for both novices and professionals Top Chefs Lilly Higgins and Patrick Ryan get a helping hand from Noel Carroll of ACT for Meningitis as they get ready for Bake Fest Galway. 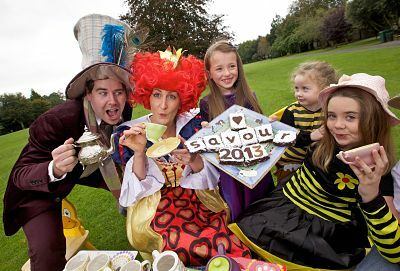 All funds generated at Bake Fest Galway are being given to ACT for Meningitis. Sometimes you just want to steal away and treat yourself. Perhaps it’s your birthday or you want to spend a nice quiet afternoon with your mom or a friend. If I were Dublin based I’d be coming up with some excuse as to why I had to visit Harvey Nichols, Dundrum Town Centre and when there enjoy ‘The Riot of Colour Afternoon Tea’. It is priced at €22.50 per person, €27.50 per person with a box of Riot of Colour afternoon tea to take home or €30 per person with a glass of Harvey Nichols Champagne so it definitely is something that if you indulge you will want to savour and enjoy. 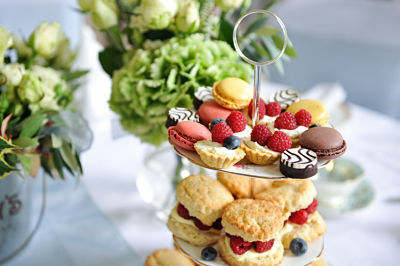 It is available until the end of October in the First Floor Brasserie at Harvey Nichols Dublin. To book call 01 2910488. 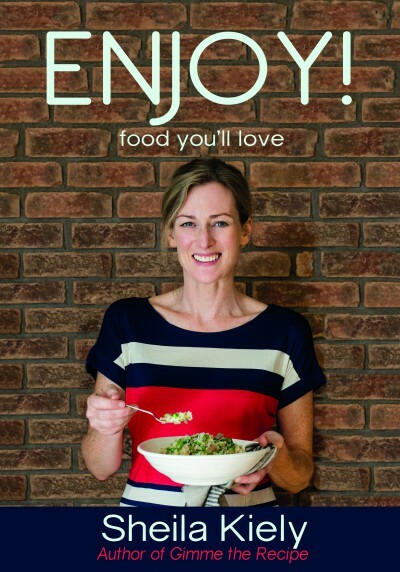 Taste your way around the Food Village on the Parade in front of magnificent Kilkenny Castle, pick up tips from top chefs and check out the next generation of upcoming foodies at the Savour Buds young producers’ market. 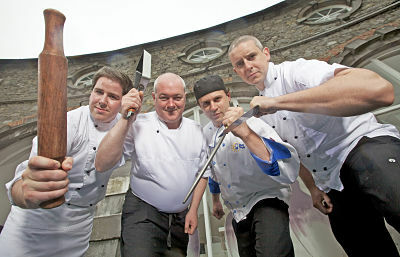 Check out the many other fantastic food festivals around the country at www.discoverireland.ie. Goodness, you have been busy.